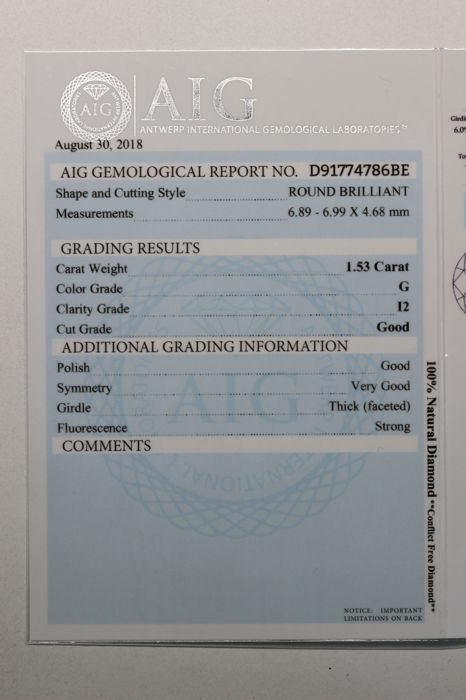 Size: 6.89–6.99 x 4.68 mm. 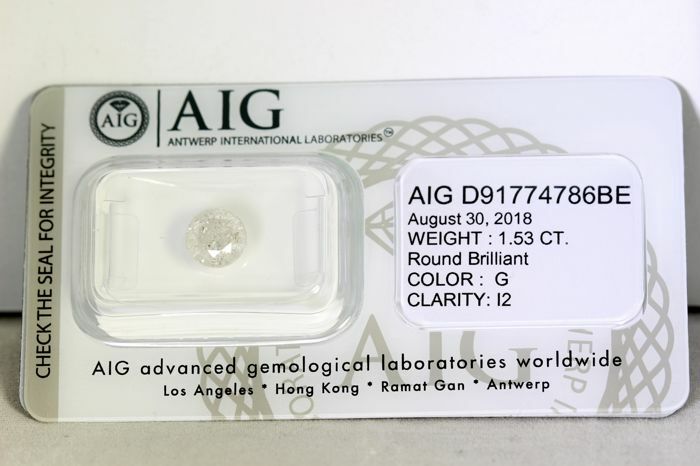 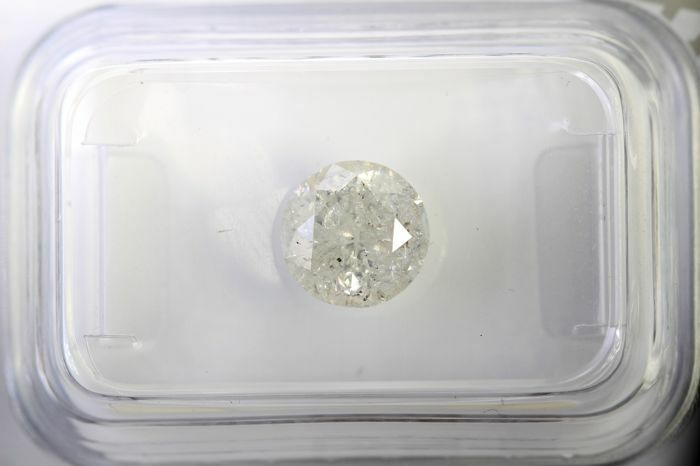 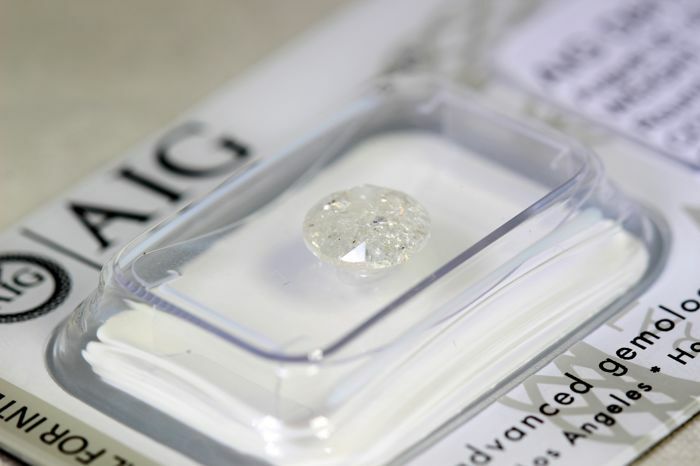 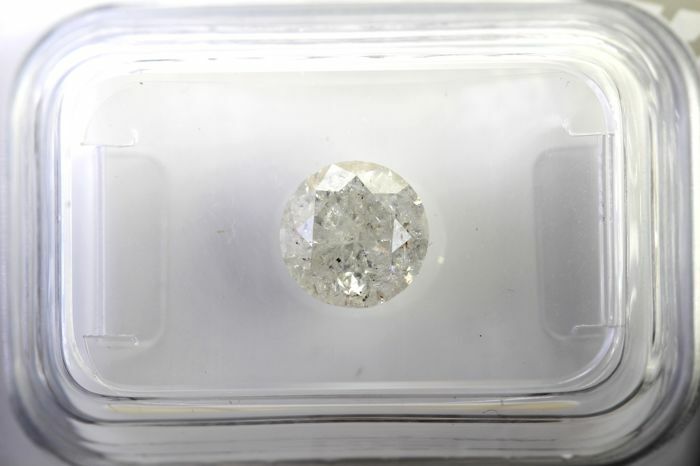 Total Carat Weight: 1.53 ct. 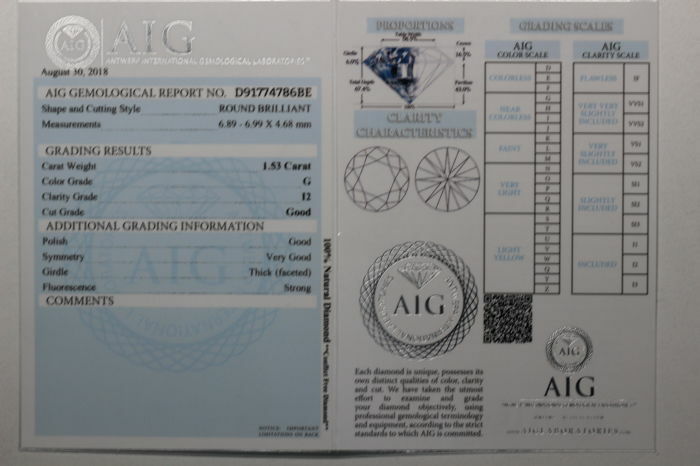 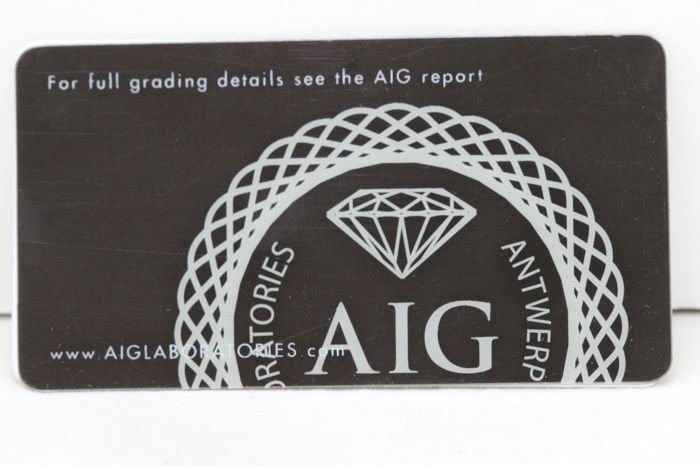 This certificate is available electronically, in PDF format, on the AIG website.